The sign is not all that's new at Uncle Don's Local Market! Have y'all noticed anything new at 1610 Frederica Rd. these days? YES, Uncle Don's Local Market has a new sign, but that is not all! Don and Hollie have expanded this fabulous Island gem to feature more of what we love it for. More Produce, More LOCALLY SOURCED and Georgia made Gifts, Wines, and other great stuff you know you can't live without! 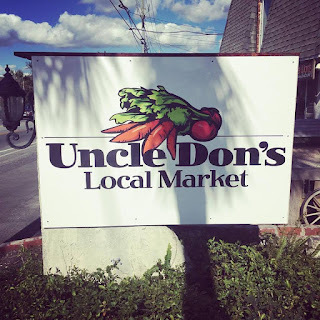 I was so excited to hear about and see the expansion of Uncle Don's I decided to write a little blurb about it. Hahahah! Lets do this again Don!! Hollie's sense of style and taste is evident, as always, throughout the Market decor and curated selection of gifts and yummy wines. Besides all that, what is even more exciting?? - classes. 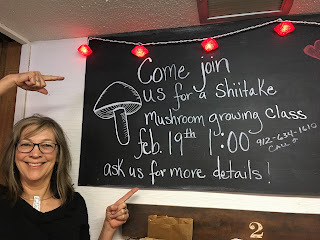 Yep, starting on February 19th with a MUSHROOM GROWING CLASS!. That's right - learn to grow your own specialty fungus. Do you know how nutritious mushrooms are? That's where I come in. Unfortunately, I will not be there to attend but here is a recipe for you to use for the mushrooms you will be growing in your own backyard, if you attend. 1. Increase your Vitamin D! That's right, mushrooms are the only fruit or vegetable source of this critical vitamin which we all seem to be in need of these days. 2. 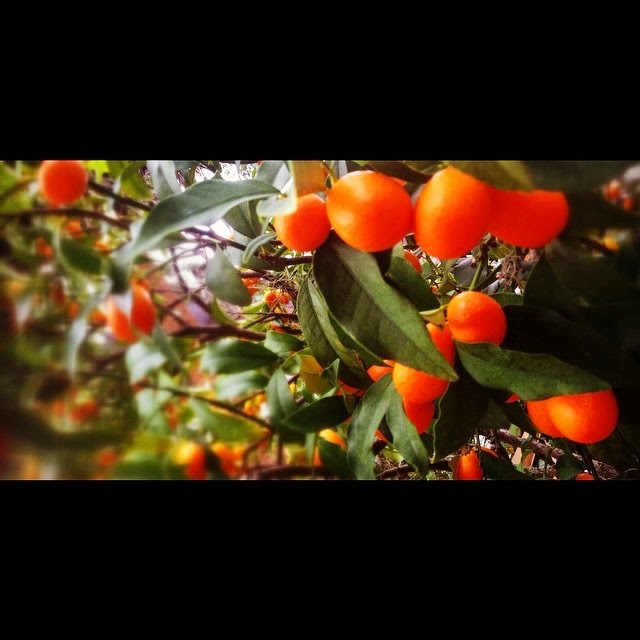 Boost your immune system! by increasing the production of antiviral and other proteins that are released by cells while they are trying to protect and repair the body’s tissues. A later study showed that these mushrooms promoted the maturation of immune system cells-called dendritic cells-from bone marrow. 3. Mushrooms are full of antioxidants! To help repair tissue damage, fight off free radicals, etc. Usually associated with colorful fruits and veggies, even this beige beauty is chock full! 4. Boost your metabolism! Mushrooms contain loads of vitamin B2 (riboflavin) and vitamin B3 (niacin): B vitamins are vital for turning food (carbohydrates) into fuel (glucose), which the body burns to produce energy. They also help the body metabolize fats and protein. 5. Contain Good-for-your-Bladder Selenium! studies show that the higher the level of selenium, as measured in blood serum, the lower the risk of bladder cancer AND, selenium also boosts the immune system and fights free radicals too! As for flavor - think UMAMI! Yes, that extra taste sensation which literally translates to YUM! To chefs and food lovers, it’s a satisfying sense of deep, complete flavor, balancing savory flavors and full-bodied taste with distinctive qualities of aroma and mouthfeel and mushrooms are full of it! Chop tofu into cubes and break the cauliflower into pieces, trimming off the large stems. In a large skillet, heat the sesame oil on medium high. Add the cauliflower and sauté for 3 minutes. Stir in the garlic and cook for another minute. Remove from heat and let cool for about 5 minutes. While the veggies are cooling, combine all ingredients for the Peanut Sauce in a bowl and whisk together until smooth. Place a dumpling wrapper on a lightly floured surface. Spoon one heaping teaspoon into the center of the wrapper and carefully moisten the outer rim of the wrapper. Fold the Dumpling in half and press the edges together to seal them, making sure to remove all air from the center. Pinch the sealed edges in a visually pleasing fashion (or leave them flat) and cook them in a lightly oiled pan over medium heat for about 2 minutes on each side. Watch them as they tend to brown quickly. Serve with Peanut Dipping Sauce! See you at Uncle Don's! Be there or be L7!